FGMC lost another long-term key member as Joe Gutierrez passed away on March 6 at the age of 91. Joe was also a Vulcan geologist for many years and served as the liaison between Vulcan and the club. 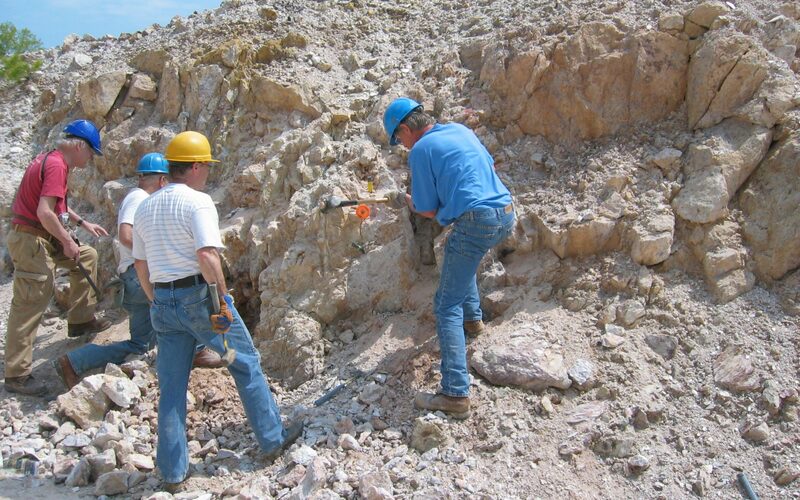 Joe was also instrumental in getting the geology museum established at Vulcan Quarry and let many school classes, scouts, and other youth groups through the facility. The museum was named for him and his efforts in community relations and education. Joe’s health has limited his attendance for the last couple of years, but when he could make it he was always smiling and willing to teach anyone with any interest about rocks.